Whether you’re looking to sell at a higher price than it’s currently appraised at, or you’ve simply decided to make your home more enjoyable for your family, guests or renters, decisions regarding a home renovation are easily one of the most stressful and overwhelming experiences for the homeowners. Although minor decisions such as those related to paint colours, flooring and landscaping themes are challenging on their own, larger projects that involve serious budgeting often raise more questions than answers. Let’s try to answer some of those questions by expanding and explaining a solid renovation plan. 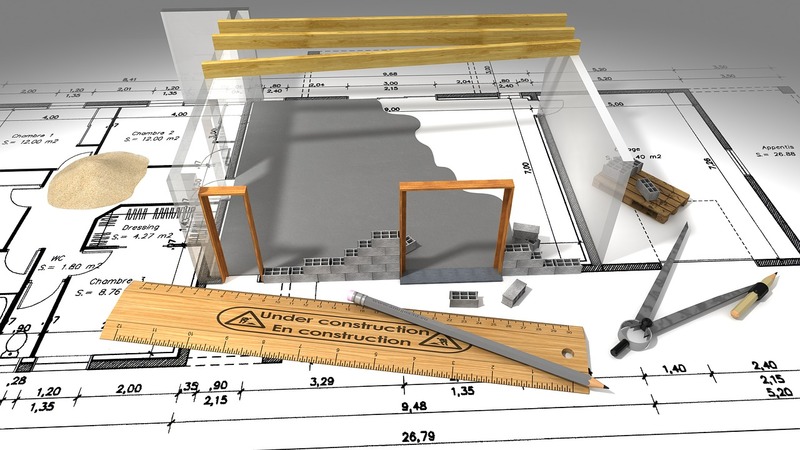 In the first stage of a renovation project, you need a detailed assessment of the property. In case you’re in the business of target-purchasing properties for renovation, deciding if the property is a good buy involves weighing the listed price to costs of repairs and improvements. But whether you’re flipping houses or renovating your own home, you should enlist a chartered surveyor to compile a building report that identifies the critical repairs and points out to further investigation by specialist surveyors. In this light, an assessment of the structural condition is essential. This report is vital for choosing the type and extent of alteration that the house can take, and repairs that need to be completed prior to the renovation. Other issues that might get in the way of your project include presence of damp and signs of foundation movement. Although it’s often repeated that a house shouldn’t be seen as an investment, it’s important to break down the project costs to check if the renovation is financially viable. Unfortunately, many homeowners skip this stage and rush into the project without the financial plan to support it. What is more, Houzz & Home Renovation Trends Study 2017 has shown that first-time buyers are twice more likely to use credit cards for renovations, which is by far the least favourable way of financing large home renovation projects. The scope of individual projects inevitably varies, but as a rule of thumb, no more than 5% of the property purchase price should be spent on a renovation project. It’s always advisable to leave at least 10% to 20% as a contingency buffer for hidden and unexpected costs such as council fees. It’s no secret that a substantial portion of renovation contractors’ work is done on a repeat and referral basis. Ask your network of people if anyone has undergone a home renovation recently and whether they would recommend the renovator. Every company does things a little differently, so you want to research reputation, customer service and warranty on the completed work. Keep in mind that many designers specialize in projects that don’t involve structural work and additions, while an architect can provide invaluable insight on floor plans and permits. On the other hand, if you’re dealing with a project that involves extensive works in different areas, such as structural modifications, roofing, rerouting utilities, etc., it’s best to hire a quantity surveying firm that will manage your renovation costs for all project types. It’s on your architect to lead you through the minefield of licenses and building regulations that apply in your area. The best course of action is to check with the council agency for projects classed as permitted development (PD). Keep in mind that depending on the size of your project and location of your property, obtaining all the permits can take days, months or, in some extreme cases, even years, so it’s important to have some ideas about the length of the process before you file for permits. This will tell you a likely start date of your project. Finally, there are decisions concerned with the appearance you want to achieve through the renovation. Whether you want it to blend with the existing property or transform the home exterior entirely, it’s best to go with timeless renovation designs and materials. New trends are hard to resist, but once they become outdated, your extension may awkwardly stick out as a witness to a fad long gone. Use home improvement magazines, interior design books and Internet image boards such as Pinterest for ideas that you’ll show to your design contractor. Even though it might seem expensive early on, always opt for quality over quantity and choose materials, furnishing and workmanship that will stand the test of time. The secret of a successful renovation lies in careful planning and understanding what you want to achieve. Although the final designs and specifications will be executed with the help of a professional renovating contractor, the more details you give them, the better are they able to provide you with satisfactory results and cost margin.